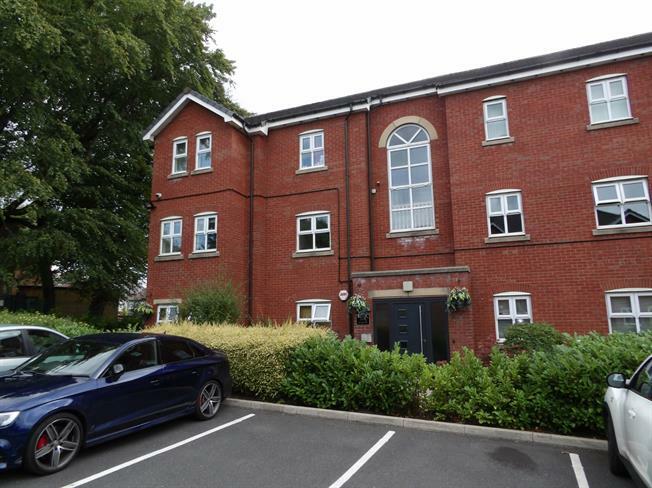 2 Bedroom Flat For Sale in Bolton for Offers Over £90,000. Offered for sale as either and investment with a sitting tenant or with no onward chain. Fantastic first floor apartment located within a modern development off Devonshire Road in Heaton. Thomasson Court is beautifully maintained and this apartment comprises an entrance hallway, two good sized bedrooms, family bathroom and an open plan living/kitchen area. Internal inspection is highly recommended to appreciate the property on offer. Storage heater, carpeted flooring, ceiling light. Double aspect double glazed uPVC windows facing the front and side. Storage heater, carpeted flooring, ceiling light. Fitted wall and base units, stainless steel sink with mixer tap with drainer, integrated, electric oven, integrated, electric hob, over hob extractor, space for washing machine, fridge/freezer. Double bedroom; double glazed uPVC window facing the front. Storage heater, carpeted flooring, ceiling light. Heated towel rail, vinyl flooring, tiled splashbacks, ceiling light. Low level WC, panelled bath, shower over bath, pedestal sink, extractor fan.